…provide cataract surgery to 21 people he had treated in the clinic. 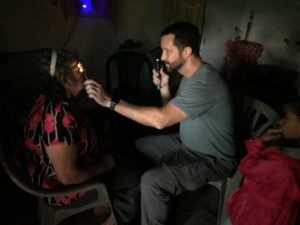 For the small cost of $128, sight can be restored that will otherwise be lost forever. We knew we had to get busy: Dennis setup a paypal account, Scott Brown created a website page, and Michael posted the information needed to raise the funds. Within a couple of days, we had raised over $3400, more than the amount needed to fund these surgeries. While these 21 patients will receive this surgery, there will be others who need this simple operation. We encourage and appreciate any donations you can make for this new vision. Visit https://www.madisonalrotary.org/foundation/ to learn more and donate. 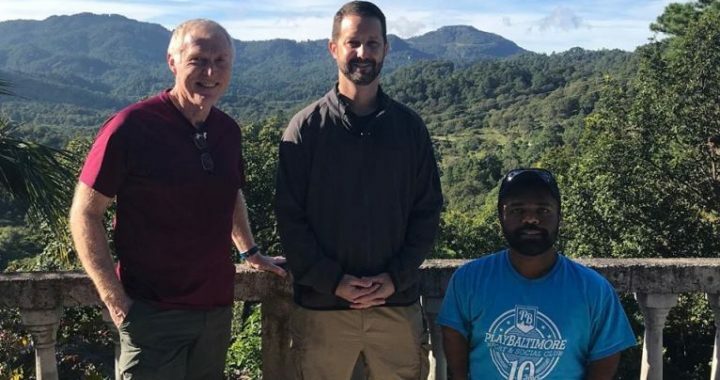 Pictured above are the 2017 vision team: Dennis Sanders, Dr. Michael St. Peter, and Harsha Rayapati.